Florida's Tampa Bay area is one of the state's most popular retirement destinations. Why? With beautiful beaches, diverse attractions and excellent healthcare, the area has plenty to offer active adult retirees. And, with many age-restricted communities in Tampa, Florida retirees will have no trouble finding a great place to live. The gorgeous, sunny beaches are easily the area's main draw for active adult retirees looking for 55+ communities in Tampa. Located on Florida's western coast, Tampa Bay opens into the warm waters of the Gulf of Mexico. Here, active adults can enjoy visiting a range of beaches all within an hour of each other. This lets local residents enjoy the variety of many different settings or stick with their own favorite beaches. Being a port of call for several cruise lines, also makes Tampa Bay an ideal home for retirees who love to occasionally experience a more exotic change of scenery as well. It's easy to book a cruise out of Tampa Bay on popular cruise lines including Royal Caribbean, Holland America and Carnival Cruise Lines. Closer to home, the city of Tampa offers diverse cultural attractions such as the Tampa Museum of Art, the Henry B. Plant Museum and the David A. Straz Jr. Center for the Performing Arts. It is also home to excellent healthcare options, including respected hospitals such as Tampa General Hospital, Moffitt Cancer Center and Research Institute, St. Joseph's Hospital and James A. Haley Veteran's Hospital. Throughout the Tampa Bay area, active adults will find a variety of shopping opportunities, as well as great restaurants which range from casual fare to fine dining. Retirees will love upscale shopping at WestShore Plaza, the eclectic shops at Hyde Park Village and bargain hunting at Ellenton Premium Outlets. Beyond shopping, active adults will enjoy exciting local attractions like Busch Gardens, The Florida Aquarium and Adventure Island. Retirees who decide to settle in the Tampa Bay area can choose from many active adult retirement communities in Tampa, Florida. Some may pick a home in well-known areas like Clearwater or St. Petersburg, but many retirees are moving to communities south and north of Tampa. 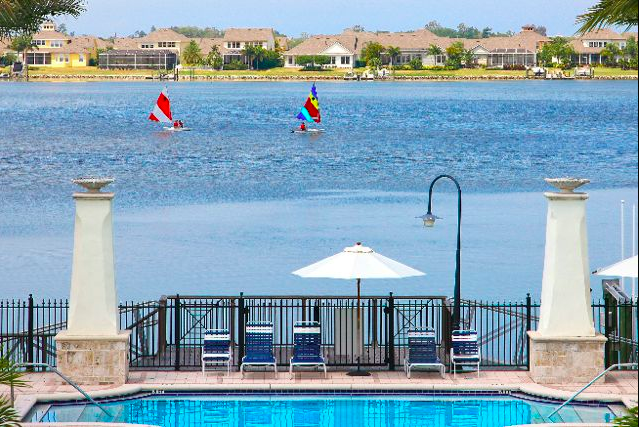 South of the city, active adults love communities like Southshore Falls or Valencia Lakes. To the north, retirees will find appealing options like Tampa Bay Golf and Country Club, Timber Pines or Wellington at Seven Hills. From the beautiful beaches and cultural attractions, to the shopping, dining and entertainment opportunities, it's no wonder that Tampa Bay appeals to many different active adults. If you're considering the Tampa area for your retirement, arrange to visit some of the area active adult communities on your next vacation. You're sure to be impressed with all that Tampa Bay has to offer.